1. Clean and peel 10 medium sized Russet or Yukon Gold potatoes (about 5 pounds). Cut the potatoes into equal-sized 1 1/2 inch chunks for even cooking. Put the potatoes into a large sauce pan and cover with water and 1 teaspoon of salt. 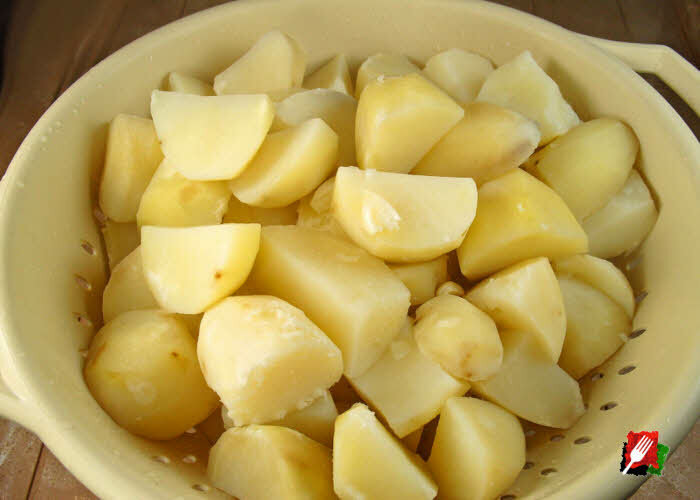 Bring water to a boil over medium-high heat and cook potatoes until tender, about 20 minutes. (They’re done when a sharp paring knife passes through the potatoes without any resistance). Drain them well in a colander then immediately add to a large bowl to combine with the other ingredients. 2. While the potatoes are still steaming hot, combine with a spoon the potatoes with the butter slices, cream cheese slices, sour cream, garlic, pepper, and half of the chopped scallions. 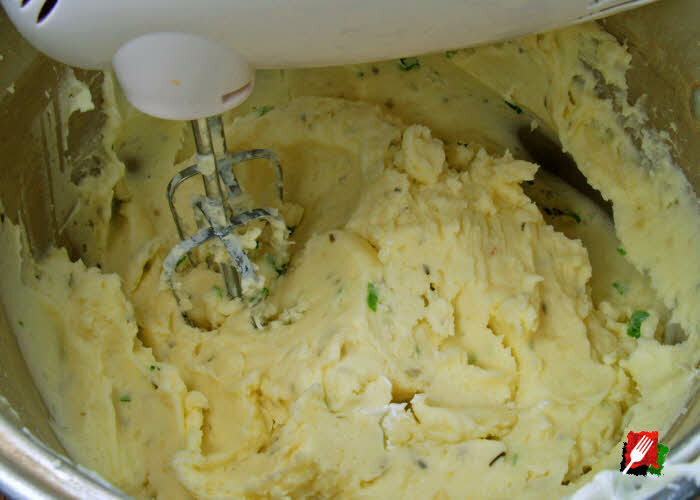 Gently mash the potatoes using a hand mixer on low or a hand-held potato masher until they’re creamy and lump free. To keep the potatoes light and fluffy, do not overwork or they can release too much starch and become gluey. 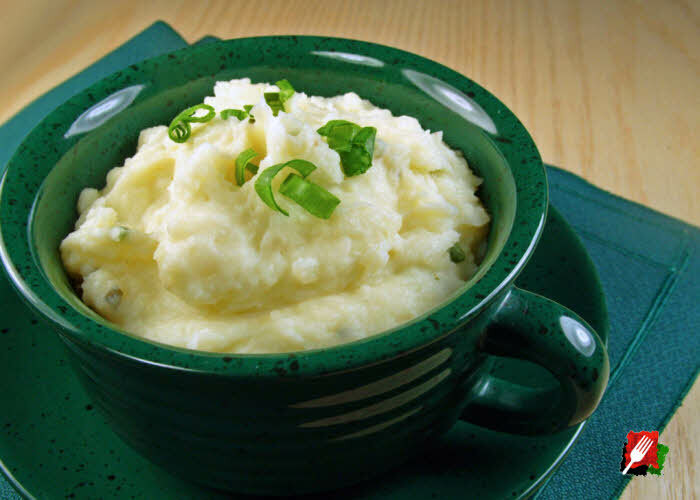 When done, give the mashed potatoes a taste, then add a little more salt and/or pepper if needed. Serve immediately while hot, and garnish with the other half of the chopped scallions.